Salt River Flood and the Hattie B. 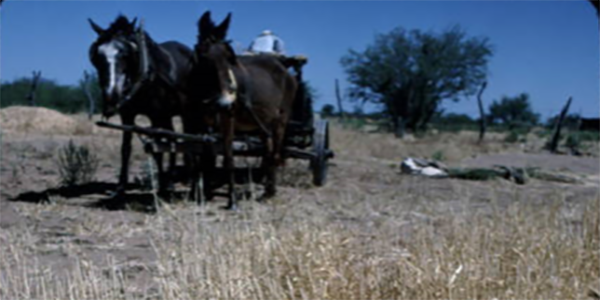 In January 1980, heavy rains caused floods in Central Arizona. The Salt River washed out all but two motor vehicle bridges across the river. To help commuters get from Tempe and Mesa to Phoenix, an Amtrak train was designated to run as a shuttle between the three cities. The shuttle started at the Mesa station, made three stops before arriving at the Phoenix depot. The train ran from 5 a.m. until 2 p.m. and then again from 4 p.m. until 9 p.m. to shuttle commuters between Mesa, Tempe, and Phoenix. The one-way fare cost $1.00; exact change was required. 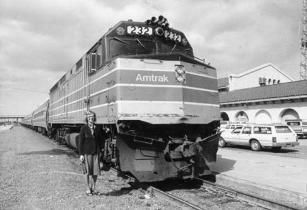 The train was named the Hattie B. in honor of Governor Bruce Babbitt’s wife. It ran from February 25, 1980 to March 2, 1980. Floods -- Arizona -- Salt River. Flood control -- Arizona -- Phoenix. 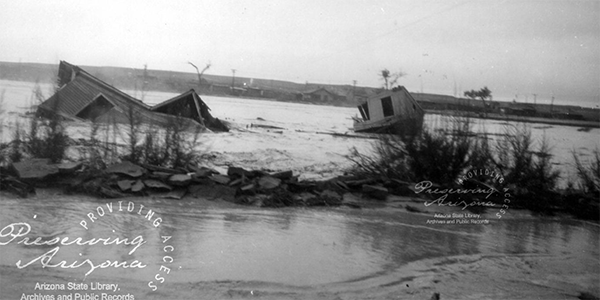 Arizona State Archives Collections: The Salt River Flood happened while Governor Bruce E. Babbitt was in office. Relevant information may be found in that collection. Please contact Archives for more information.